If you are looking for an adventure that combines fun, learning and history then freeze - Mamma has you sorted at the Old Melbourne Gaol. This heritage listed building once and still is one of Melbourne's iconic must see places. The history is captivating for both children and adults. Mamma found herself learning a few things along the way too. The Watch House Experience is a must, giving you first hand taste of what it is like to be arrested and locked up in the old Watch House. With her chilling smirk and her dry sense of humour the Sargent in charge was everything but nice. School holidays often include educational activities to get the little ones scavenging quietly through the cell blocks, dodging guards and searching for clues. 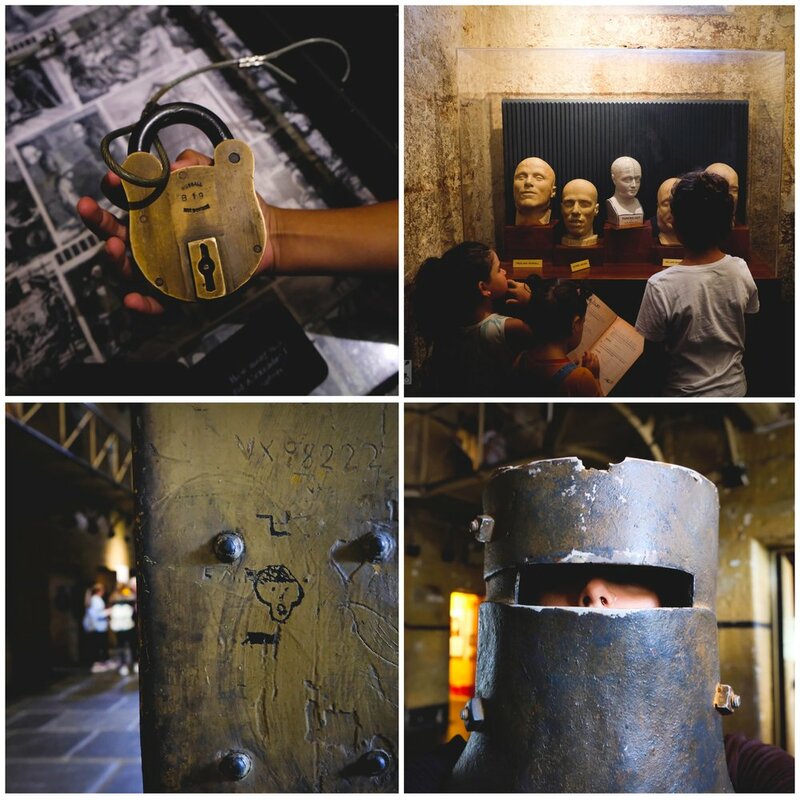 General admission tickets includes self-guided entry into the Old Melbourne Gaol, a guided Watch House Experience and an Escape the Gaol booklet and activity for kids.